Sens. 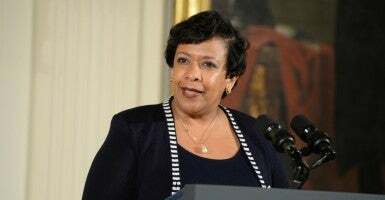 Ted Cruz, R-Texas, Mike Lee, R-Utah, Jeff Sessions, R-Ala., David Perdue, R-Ga., and David Vitter, R-La., expressed their concern over the response that Lynch gave at an oversight hearing before the Senate Judiciary Committee in March. Sen. Sheldon Whitehouse, D-R.I., was pressing Lynch to criminally investigate anyone who refuses to accept man-induced climate change as an unassailable fact. The response of the chief law enforcement official of the United States should have been that it is the duty of the Justice Department to fairly enforce the law in a dispassionate, non-ideological manner based on facts, not to investigate those who hold disfavored views regarding scientific controversies and an unproven scientific theory. The senators also refer to a “coalition of environmentalists and lawmakers” who asked the Justice Department in 2015 to investigate a “private sector company” over its views on climate change for violating the Racketeer Influenced and Corrupt Organizations Act. This is the 1970s-era law that was passed by Congress to target mob organizations. And they express their concern over the actions by certain state attorneys general to go after other private parties, including subpoenaing universities, scientists, and nonprofit organizations for all of their research and communications on climate change. 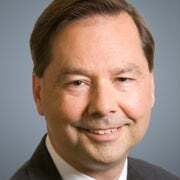 The Competitive Enterprise Institute is one of the think tanks that was subpoenaed by the Virgin Islands attorney general, Claude Walker, for all of its research. Walker apparently delegated his prosecutorial authority to a well-known plaintiffs’ firm, Cohen Milstein, which he hired to handle his investigation. Just recently, Walker decided to withdraw the subpoena after the Competitive Enterprise Institute put up fierce opposition to complying with it and Walker received widespread criticism for his behavior, including questions raised by the attorneys general of Texas and Alabama about the contingency fee arrangement Walker has with the law firm. Will not initiate in the future any such investigations or inquiries. This is a final shot across Lynch’s bow. Not only are these senators demanding that she refrain from having the U.S. Justice Department apply the RICO law to First Amendment-protected speech, they want to know what she is going to do to stop state attorneys general from similarly exercising their governmental authority to interfere with Americans’ exercise of their First Amendment rights. If Lynch fails to respond to this letter or fails to act, it will be another sign of how this administration—and this Justice Department—are willing to interject ideology and politics into their prosecutorial decisions.